Provo • BYU’s training camp in preparation for the 2017 college football season lacked drama, suspense, major injuries and notable position battles most of the first three weeks, but that changed drastically on Thursday. Bernard, who had 80 tackles and two sacks last year before missing the Poinsettia Bowl due to a suspension, will use his redshirt year and return in 2018 as a junior in eligibility. Redshirt junior Adam Pulsipher has been behind Bernard on the two-deep chart at weakside linebacker, and will likely move into a starting role. Coach Kalani Sitake mentioned that sophomore Johnny Tapusoa, freshman Isaiah Kaufusi and junior Morgan Unga could see increased playing time. Also, Sitake and Warner said that safeties Matt Hadley and Chaz Ah You, a true freshman, could play linebacker in some packages. “I think we have a lot of guys who can play there,” Sitake said. 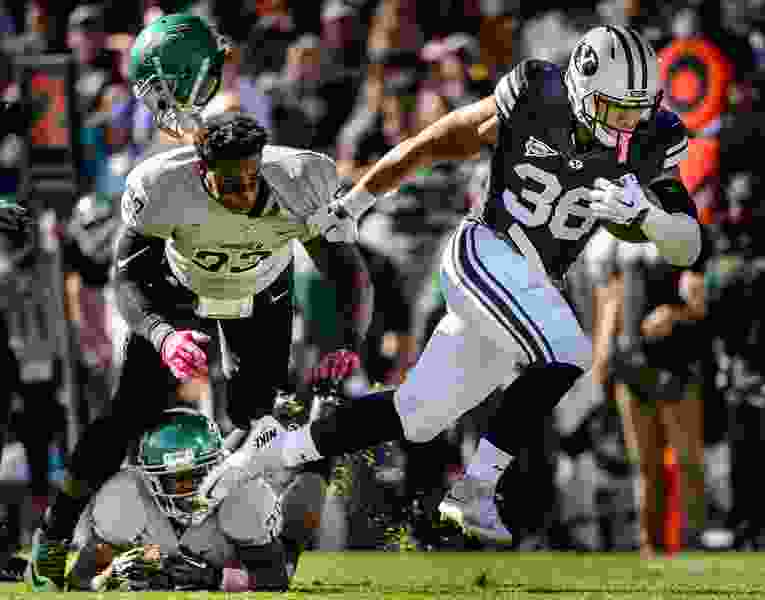 Still, it is a huge blow to BYU’s defense — which faces LSU, Utah and Wisconsin in September — because the linebacking corps was supposed to be the strength of the team. Warner and junior Butch Pau’u started alongside Bernard last season and will be asked to pick up some of the slack. Bernard will continue to participate in all team practices, meetings and activities during the season, BYU’s release said, a sign that the reasons are not Honor Code-related. 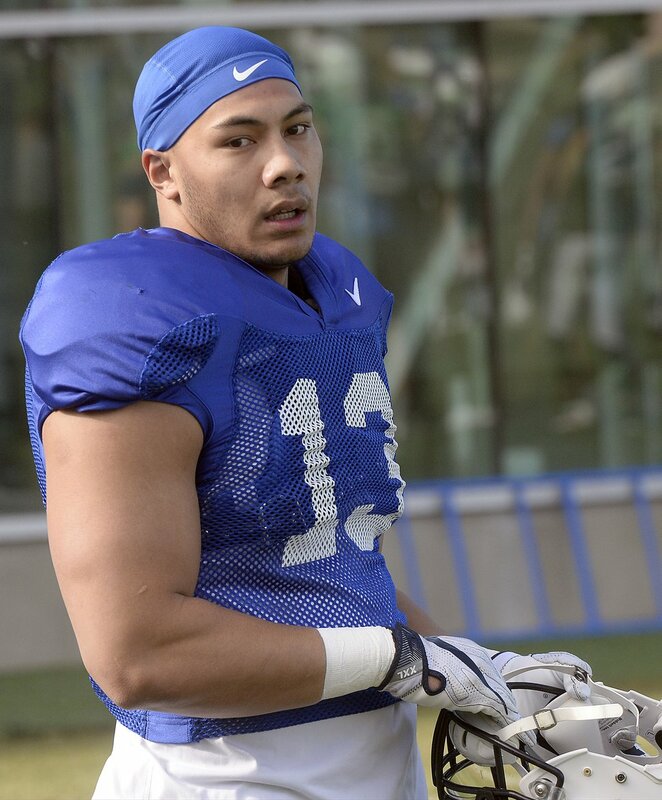 “He will be with the team and he will be practicing with us,” Sitake said while declining to offer more specifics than what was on the release. The coach said moving Hadley and Ah You, possibly, to linebacker shows how much confidence coaches have in their depth at safety, where Micah Hannemann and Hadley were the presumed starters. Junior Zayne Anderson was backing up Hadley at free safety and junior Tanner Jacobson is the backup strong safety but played both positions in the spring. “Hadley can play a lot of different positions. He’s got so much athleticism. But I think he is struggling with keeping the weight off, so it just makes sense to let him eat freely and get big and play linebacker. That’s kinda like my motto, so why not let our players do it?” Sitake said, laughing. Backups got the bulk of the reps in the scrimmage portion of practice, but starting quarterback Tanner Mangum made a couple long passes to tight end Matt Bushman and receiver Beau Tanner and starting cornerback Troy Warner intercepted two passes. Offensive coordinator Ty Detmer confirmed that redshirt sophomore Beau Hoge has won the battle with Koy Detmer Jr. and the other QBs to be the No. 2 QB on the depth chart and will get the second-most reps as the Cougars transition into game-prep mode for the opener on Aug. 26 against Portland State.